Central Board of Secondary Education(CBSE) had announced and held the CBSE UGC NET exam on 22nd of January 2017 (SUNDAY) for determining the eligibility of Assistant Professors in India. The CBSE UGC NET exam had been conducted by CBSE at various centers spread across the country (India). 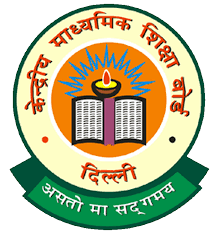 The CBSE has to publish the CBSE UGC NET exam Answer Keys for the question papers including paper-1, paper-2 and paper-3 very soon through their official website. The UGC NET exam exam Answer Keys for paper-1, paper-2 and paper-3 for all CTET Subjects are to be flashed through this site very soon. Check the CBSE UGC NET January 2017 Question paper and UnOffficial Answer Keys of paper-1 of all UGC NET subjects is given below. What was the impact of the last great war on Indian literature? What did Tagore articulate in his last testament?